The City of Sonoma instated its commitment to reducing greenhouse gas (GHG) emissions through the adoption of a municipal GHG reduction plan. Eight years later it expanded the program by adopting twenty-two measures from Climate Action Plan 2020. Stated below are components and fortifications of the plans that have been completed. The list is ongoing and will continue to be updated. In February of 2008, the City of Sonoma adopted a municipal greenhouse gas reduction plan. As one result of this plan, all City facilities have been upgraded with respect to energy efficiency, including lighting and A/C controls. For several years, the City offered a Business Improvement Matching Funds Loan Program for energy and water efficiency improvements to commercial buildings, identified through a qualified survey. Over the course of 2008-2010 obtained CREBs funding (Clean and Renewable Energy Bonds) to implement a variety of energy saving measures for City facilities, including the photovoltaic arrays at the Police Station and the Corporation Yard. In July 2013, Sonoma joined the Sonoma Clean Power consortium, a Community Choice Aggregation program that provides electrical service generated by renewable resources. Beginning January 1, 2014, the 2013 California Green Building Standards Code (CALGreen) became effective for new buildings and certain addition or alteration projects throughout California. 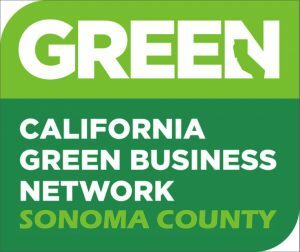 The City of Sonoma adopted and amended CALGreen as part of the City’s Municipal Code to require CALGreen+Tier 1 level of compliance for all new buildings. In 2015, the city replaced 1,100 streetlights with energy efficient LED fixtures. The project will reduce the CO2 greenhouse gas output by 180,000 pounds a year and save the city about $70,000 annually in energy costs. In October of 2016, the City Council agreed to switch the municipal electrical supply to the “Evergreen” program offered by Sonoma Clean Power, the first city in the County to do so. The Evergreen program is 100% local, renewable power. As a member agency of the Regional Climate Protection Authority (RCPA), the City of Sonoma participated in the development of Climate Action 2020. Chapter 5 of Climate Action 2020 includes a greenhouse gas emissions profile for the City of Sonoma and the individual greenhouse gas measures that the City of Sonoma selected for inclusion in the plan. At its meeting of November 21, 2016, the City Council adopted the Climate Action 2020 measures for the City of Sonoma, and the emissions reduction targets contained in Climate Action 2020 plan. In May of 2017, as authorized by the City Council, an intern was hired to assist the City in implementing its adopted GHG reduction programs. Learn about options for improving your home's energy efficiency or going solar. Reduce emissions by buying local. 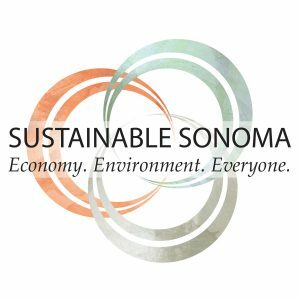 Learn more about the Sonoma Ecology Center's Sustainable Sonoma initiative. Learn about Green Business Resources. What are the City’s rules for leaf blowers? The City’s referendum-approved leaf blower ordinance prohibits use of gas-powered leaf blowers. Electric leaf blowers may be used Monday through Saturday (excepting holidays) between 9 a.m. and 4 p.m. Additional information can be found in this summary of the City’s leafblower ordinance. Water conservation resources are available through our Public Works department. Thank you for you conservation efforts! Where should I dispose of paints and chemicals? Please refer to the Sonoma County Recycle Guide at www.recyclenow.org. What items can go in my blue toter for recyclables? What can go in my yard waste toter? Sonoma Garbage Collector has guidelines for what you can recycle and what can go in the yard waste bin.